Greater stability and buoyancy for heavier riders up to 115 kg. Ultimate glide and stability in an all round cruising design. Pulled in tail outline for late take off and extra reactivity. Boxy rails, deep center channel and 32″ width provide ultimate stability. 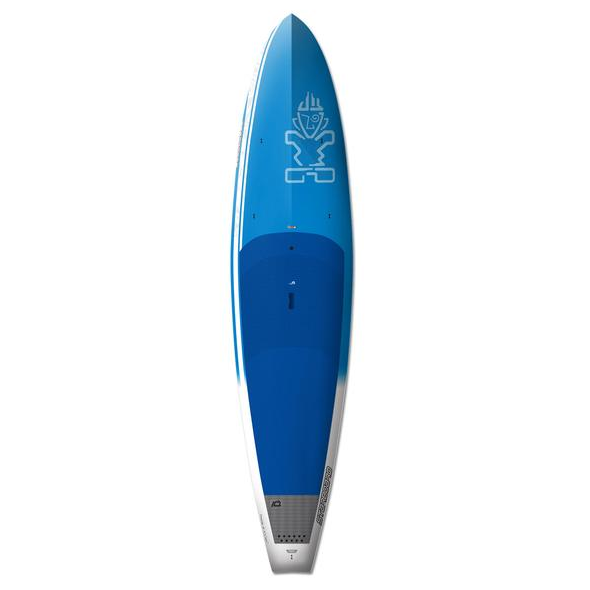 – Durable, tough and light most models are windsurfable. – The Advanced Sandwich Technology has a 15 kg/m3 fused cell core for light weight and increased water resistance. – A three-dimensional glass laminate is wetted out with high grade expanding epoxy resin, creating a thicker impact resistant outer skin with increased overall hull strength. – A 500 kg/m3 veneer of 0.6mm uni-directional Australian Pine forms an outer layer on the deck resulting in extra impact resistance, rigidity and further improved overall hull integrity. – 300 grams uni-directional glass stringers are laminated flat on the deck and wrapped on fore rails in front of the standing area to support integrity while in surf conditions. – Extra reinforcements are placed around all inserts, resulting in zero insert damage reports so far.